We’ve talked about this a little before, but the next big thing in gaming looks like it’s going to be virtual reality gaming. And like every other big new technology, from Betamax vs. VHS to HD DVD vs. Blu-ray to Mac vs. PC to Playstation vs. Xbox to Android vs. iOS, this is going to be one heck of a fight for supremacy. Virtual Reality is the next logic step in gaming. As someone who’s used the Xbox 360 and the PS3, I honestly wasn’t super impressed with the Xbox One and the PS4; the specs were certainly much more impressive but the gameplay really wasn’t that different. Microsoft, in particular, put a ton of eggs in the Kinect basket, hoping to force the same excitement on the masses that Nintendo created with the Wii, but a lot of that egg just ended up on their face. I think the industry made the incorrect conclusion that users just didn’t like motion gaming anymore, but the truth is that game developers just wouldn’t–or couldn’t–put out high quality games that used motion controls to their fullest potential. The contenders are Facebook with Oculus Rift, HTC Vive, and Playstation VR. And all three are launching this year. The first two are going to require pretty advanced gaming desktop PCs (no laptops), while the third will, of course, require a Playstation 4 (or if the speculation the media’s making is correct, a “Playstation 4.5” with more advanced specs than the currently PS4). First, let’s get this out of the way. They all look ridiculous. Generations from now kids will look at pictures of grown adults wearing these things and laughing at them, just as they laughed at the guys in the 1970’s with their brick-sized car phones. But just as those guys in the polyester suits didn’t care how they looked as long as they were talking to someone in a moving car, chances are you won’t mind how ridiculous you look once you experience virtual reality. By just about all accounts, the HTC Vive has the most impressive technologically. It comes with two base stations called “Lighthouses” which will provide the most immersive experience, as you’ll be able to walk around your room to play (it’ll work within a 15 feet by 15 feet). This probably means that the Vive is going to be the best equipped to handle fitness-style games. Its headset will have a front-facing camera, along with an accelerometer and gyroscope and will come with two wand-like controllers. It’ll have a resolution of 1080 x 1200 per eye and a field of view of about 110 degrees, the widest of all the units. It’ll be launching in May at a price of $799, but the real price is going to be upgrading or buying a new gaming PC, which will be a minimum of about $1000. The Oculus Rift is the one that started all the hype. In 2012 they started a Kickstarter campaign to fund their fledgling project and by 2014 the deep pockets of Facebook bought them up. 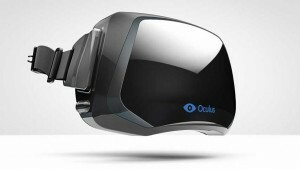 Like many others, the Oculus was the one I wanted at first. It’ll sell for $599, but again you need a powerful gaming PC to run it. Like the Vive it’ll have 1080 x 1200 resolution per eye. Unlike HTC’s two sensors, the Oculus come with just one external sensor. While it’s been hyped up over time–and the hype will only get bigger given the megaphone that Facebook has–the fact that it only track body movements of the head and upper torso and uses an antediluvian Xbox controller makes it seem almost outdated before it even launches (although it’ll beat everyone to the punch with a launch date of March 28). 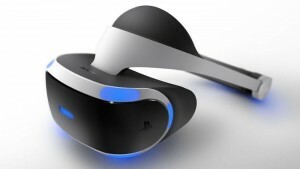 The Playstation VR is Sony’s entrant into the field. The difference with the PSVR is that it’ll work with the Playstation 4, so if you don’t already have a gaming PC you’d just need to spend $300 or so to get a PS4, and then another $499 to get the PSVR bundle which includes the headset, Move controllers, and a PS4 camera. With resolution of 960 x 1080 per eye PSVR’s specs aren’t as impressive as either of its PC competitors, but on the other hand it’s higher refresh rate will likely make for smoother images, something that might help with motion sickness. From a pricing perspective it’s a clear winner–you’re talking a grand total investment of under $800 to experience VR on the PS4 vs. $1600-$1800 to get a fully equipped PC. As I mentioned in an earlier post, I believe the VirZoom is going to be the “killer app” for virtual reality fitness, and happily it’ll support all three systems. Pricing is the main reason I’ll be going with a PS4–the slight difference in resolution quality doesn’t justify an extra expense of $1000+ to me. The rumor that the PS4 will reportedly handle 4K Blu-Ray around the time the PSVR launches is another plus (I’ve actually never owned a standalone Blu-Ray player because my trusty PS3 has been able to play regular and 3D Blu-Rays for years). Finally, if this VR thing turns out to be a total dud, at the very least I’ll have a PS4 to play with vs. a gargantuan PC I won’t need, given that I do all my PC work on an old Windows laptop and a MacBook Pro. So that’s the latest. If you’re looking to order the Oculus Rift, you can do so here. 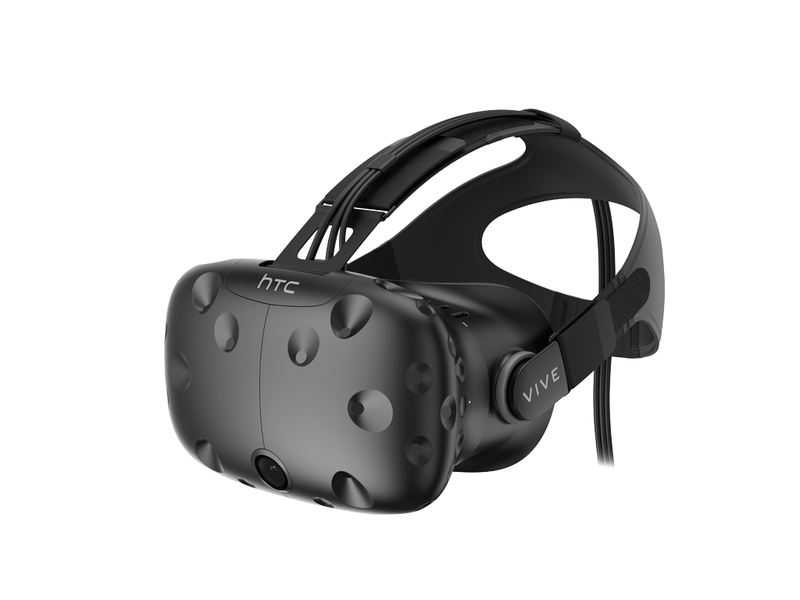 HTC Vive pre-orders are happening right now here. And the PSVR just went up for pre-order at retailers like Amazon and Best Buy . Whatever you choose, it’s going to be a great new way to experience gaming, and with apps like VirZoom, a great new way to work out.